This is a sneak preview of the Dead Reign™ RPG. This sneak preview includes the front cover, credits, contents, intro to the Zombie Apocalypse, theories on what caused it and how things stand now, and optional Quick Character Creation rules. 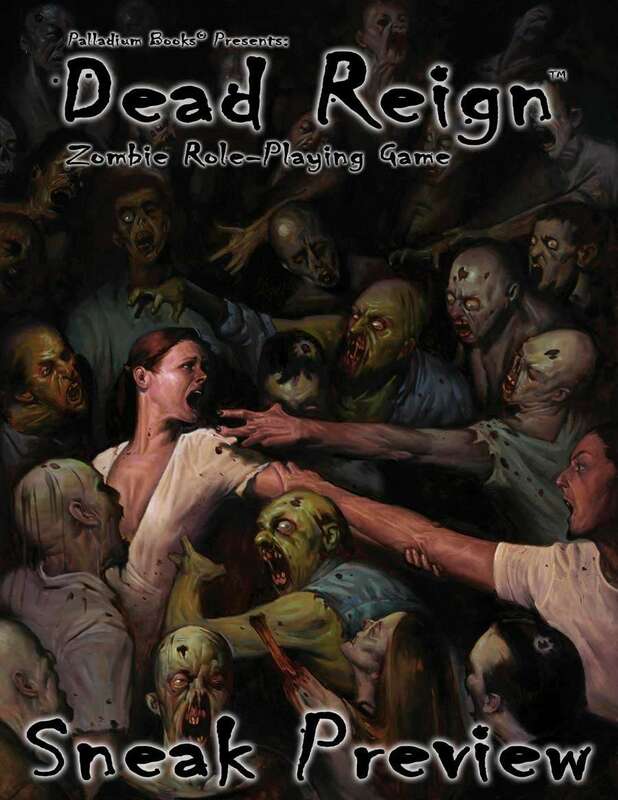 The Dead Reign™ RPG is available from Palladium Books. For more information, visit www.palladiumbooks.com.